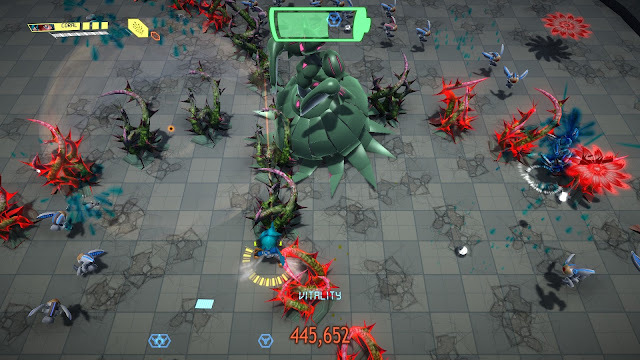 Assault Android Cactus: It's time to take on the world! It's time to take on the world! We've just released our first update on Steam, if you're in the Early Access, chances are your Steam client is downloading it already. Isn't technology creepy? But more importantly, Assault Android Cactus has leaderboards! 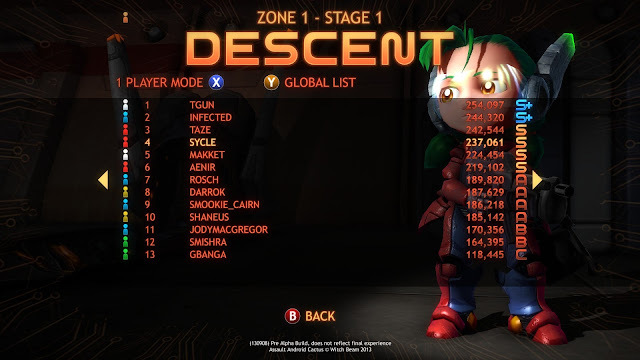 Every time you finish a stage it'll show you where you place, and you can also browse the leaderboards from the main menu. Functionality is still a little rough, so feel free to join the discussion! There's a bunch of other minor improvements, particularly to the second boss battle against Hydroponics Controller Vespula, so if you've already bought the game, head on over and see how you go! Great job so far and congratulations on getting green lit. Its not easy I wish the best of luck to you and respect the risk you all took. Side not this is far more addictive than i expected.